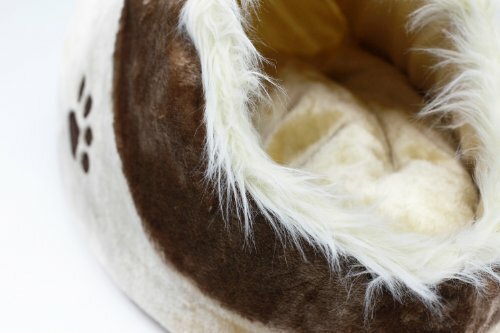 This offer is for an incredibly comfy animal cave. 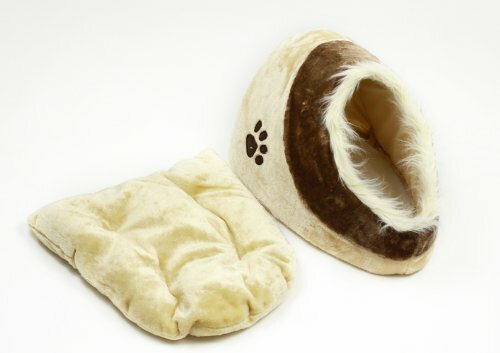 Ideal for all pets particularly cats, kittycats, small canines and so on. 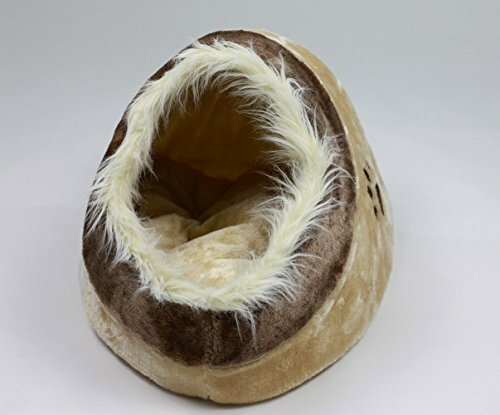 Finished in a beige/ brown colour combination, this elegant animal cave is an ideal resting place. Comfortable when your animal is within, they may not come out! Plush cover, with a detachable cushion inside. Size: 41cm x 35cm x 26cm Hand wash up to 30 Â° C.